Another four years have passed; it’s time once again for the Beautiful Game’s most prestigious competition. And it’s also time for U.S. ‘soccer’ fans to show their love for the game! As we get ready for the World Cup, Soccer Post is literally gearing up fans all across the country. 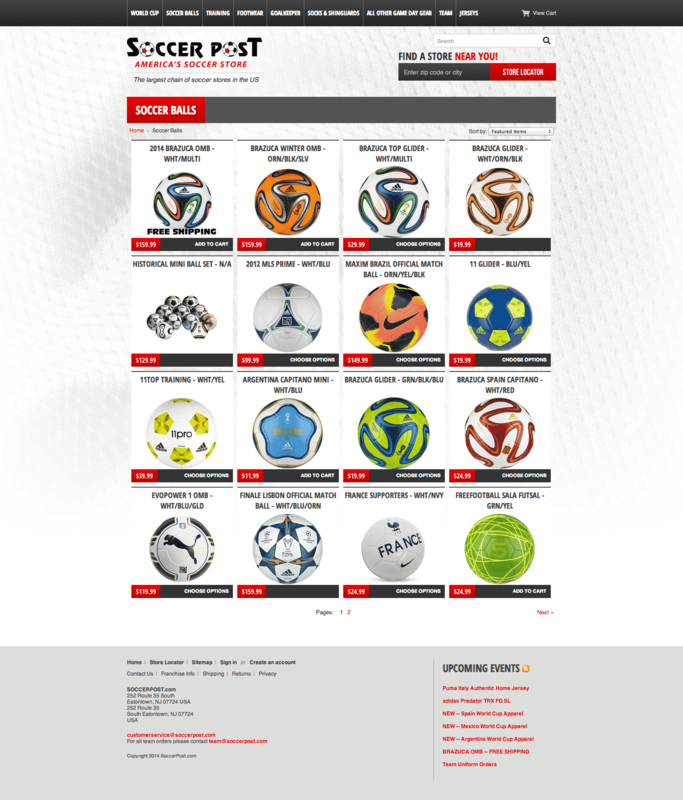 As the nation’s largest chain of soccer stores, their website generates a ton of sales. Naturally, we’re thrilled to have built the site for them! With 29 locations, there’s a good chance that there’s a store near you; otherwise, you might want to put in a rush order to get geared up in time for the games! Fortunately, their online store is always open.